Piaget is a brand of luxury watches and jewellery for special occasions, including weddings. If you’re either looking for jewellery to give your special someone or a gift for the happy couple, you’ll find plenty of options at the USA Piaget online store! With Big Apple Buddy’s personal shopping service, you can now buy direct from the USA Piaget online store anytime, anywhere. 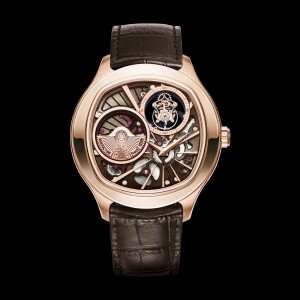 The Piaget Emperador cushion-shaped watch is cased in 18K rose gold and has a small sapphire case back. The watch’s chocolate hue affirms its modern and bold character and ensures that it will go well with just about everything in your closet. It also has one of the thinnest profiles on the market, so it is extremely lightweight and comfortable to wear at all times. This design is just one example of the limited edition luxury watches available at Piaget. Piaget also has a variety of jewellery options which are perfect to give as gifts for those very special occasions. 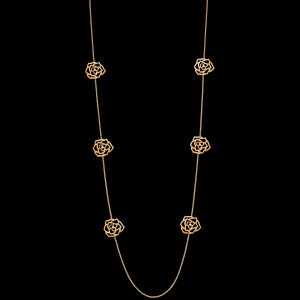 The Piaget Rose long necklace is made of 18K rose gold and is set with 6 brilliant-cut diamonds. A diamond is set at the heart of every flower, which makes this necklace a subtle yet elegant addition to any woman’s jewellery collection. Simple enough to match with any outfit yet bold enough to make a statement, this gorgeous piece of jewellery is the perfect gift to give! 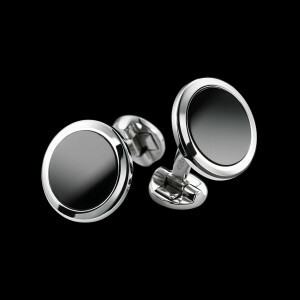 Piaget also has jewellery options for men, like this timeless Piaget Altiplano cufflinks. Made with 18K white gold and onyx, these cufflinks embody the pure and elegant lines which Piaget incorporates into all of their watches as well. This accessory will add a touch of flair and elegance to any man’s outfit for those special occasions and fancy soirees. They’re also available in gold, so choose whichever you think you’ll be able to match better to your wardrobe! Unfortunately, the USA Piaget online store does not currently offer international shipping. However, Big Apple Buddy, your personal shopper, can help you buy products direct from the official USA Piaget online store and ship them to your doorstep, no matter where you are in the world. We offer international shipping to over 190 countries including Australia, Austria, Bahrain, Belgium, Bosnia & Herzegovnia, Brazil, Brunei, Canada, China, Croatia, Cyprus, Denmark, Estonia, Finland, France, Germany, Hong Kong, Hungary, India, Indonesia, Ireland, Israel, Italy, Japan, Kenya, Kuwait, Lithuania, Macau, Malaysia, Maldives, Mexico, Namibia, Netherlands, New Zealand, Norway, Oman, Pakistan, Philippines, Portugal, Saudi Arabia, Scotland, Serbia, Singapore, Slovenia, South Africa, South Korea, Spain, Sri Lanka, Sweden, Switzerland, Taiwan, Tanzania, Thailand, UAE, UK and Ukraine. If you would like to buy from the USA Piaget online store, simply let us know which items you would like to order (by filling out the form on the right) and we’ll get back to you with a free international shipping quote within 24 hours!